Premier Christy Clark says the province is committed to not repeating past mistakes when it comes to dealing with the recent spruce beetle epidemic. The province has committed an extra $1 million to spruce beetle detection activities, on top of the $850,000 it spent last year. Clark says the money will be spent studying the problem and how far the beetle has spread. She admitted that it could be an uphill battle, with multiple factors at play. The premier’s statement echoes the words of the province’s spruce beetle manager, Heather Wiebe, who says warmer winters and drier summers have accelerated the beetle’s life cycle. Clark says the province is taking immediate action because of lessons learned from the mountain pine beetle epidemic. “Once it gets to a certain point, it’s unstoppable,” Clark said. 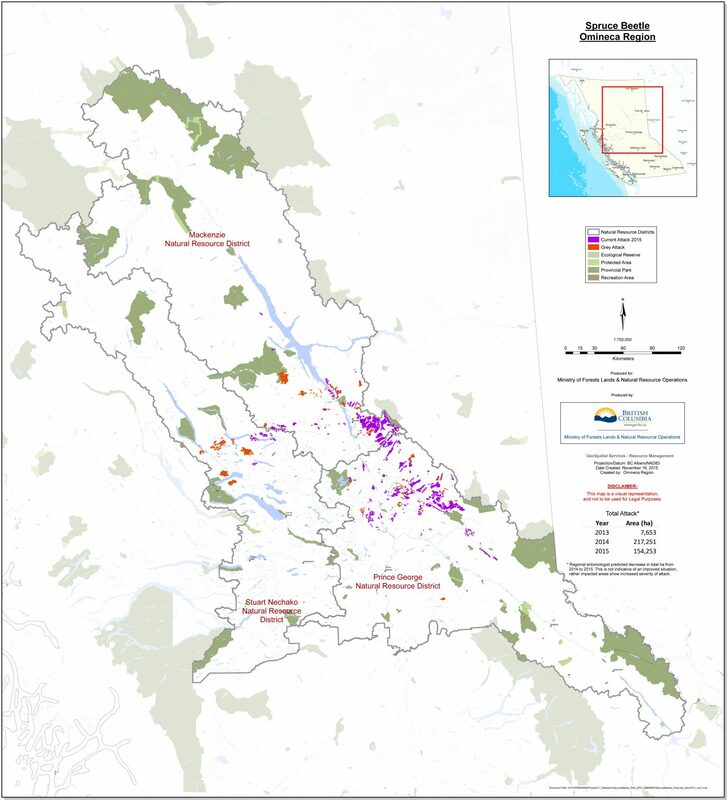 With more than 156,000 hectares of affected forest in the Prince George-Omineca region alone, Clark says it’s important to react quickly. After studying the problem and identifying possible options, the premier committed to consulting with First Nations, scientists and the people of BC to determine the best approach to beat the beetle.